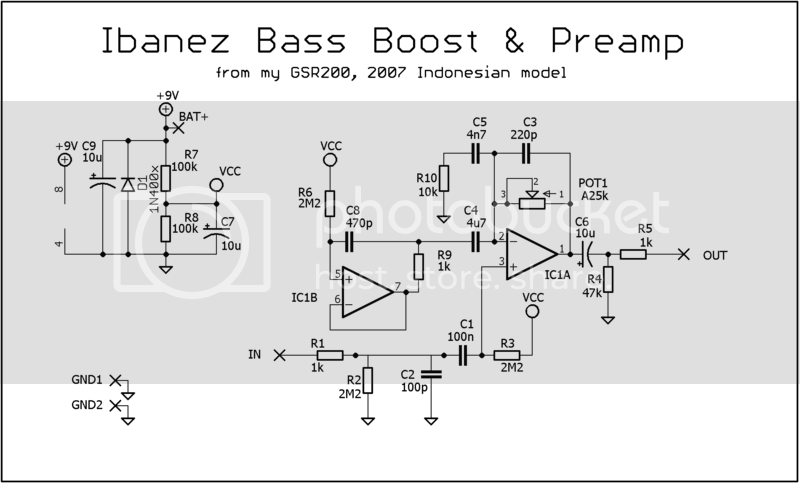 So a while back I picked up an Ibanez Gio GSR200 bass off of craigslist for cheap, and though it sounded kinda like crap with everything on it stock, I got infatuated with the onboard preamp it came with, especially after opening it up and seeing that it was a relatively simple circuit. 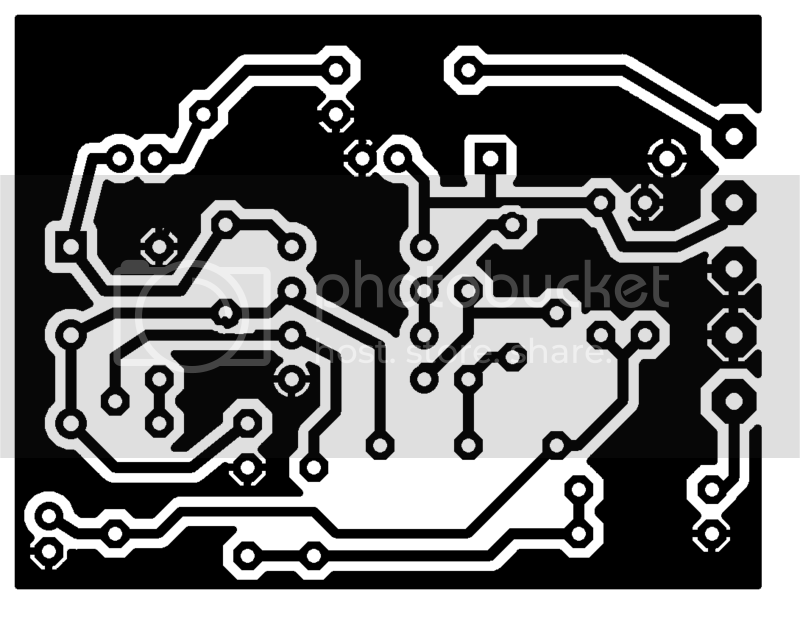 Well, I've been working on tracing it for a while, and after a good amount of trial and error, I finally built a working copy and drawn up a schematic. 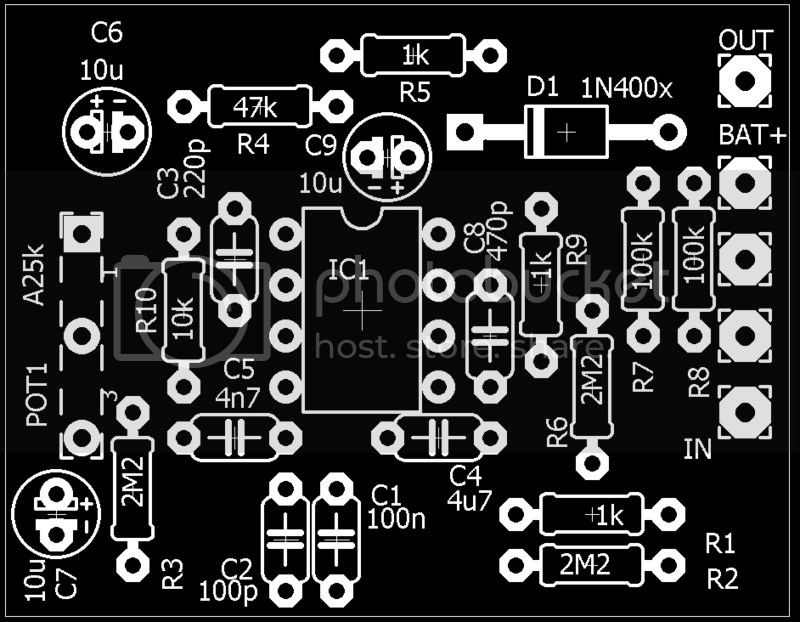 The circuit is compact and fits comfortably in the body cavity of many basses. I'm about to build like three more of these things and put them in other basses and also my Dano baritone, for kicks. Enjoy!